A book with the code to 3D-printing a handgun was banned from sale by Amazon for violating its unexplained content guidelines. The book was published as an act of free speech after a judge issued the creator of the Liberator, Cody Wilson, a restraining order, blocking his website from publishing the code. Lawmakers and President Donald Trump are debating the future of the legality of 3D-printed firearms. The book, “The Liberator Code Book: An Exercise in Freedom of Speech,” has the blueprints for the construction of a 3D-printed handgun. It gets its name from the 3D-printed handgun called the Liberator. Cody Wilson, founder of the nonprofit digital publishing firm Defense Distributed, was issued a restraining order against publishing the code to making the gun on his website. Wilson argues the judge, U.S. District Judge Robert Lasnik, infringed on his First Amendment rights. The book had been available for purchase since Aug. 1, according to The Washington Free Beacon, which was the day after the federal judge issued the temporary restraining order that prevented the publication of 3D-printed firearm blueprints. The book was removed just a few hours after Forbes, which appears to be the first outlet to note the book’s existence in the news, published an article titled “Amazon Now Offers Cody Wilson’s 3-D Printed Gun Code In Book Form” on Wednesday. “This book was removed for violating our content guidelines,” an Amazon spokesman told The Daily Caller News Foundation, but refused to elaborate what specific content guidelines it violated. Certain products have always been banned from Amazon, such as the sale of extremist products or human body parts. Amazon will remove them if it detects them. Otherwise, items can be reported and Amazon will review the product in question to determine if it has violated any policies. 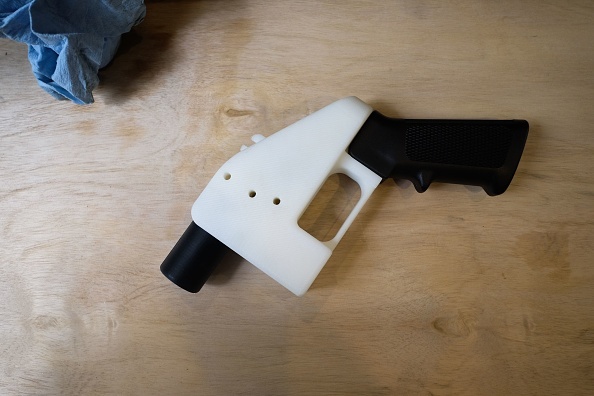 The legality of 3D-printed firearms has been debated by lawmakers recently as the press has been covering it more. Specific aspects of 3D-printed accessories, such as untraceable ammunition, have been illegal for decades, The Daily Caller reported. Additionally, making firearms that cannot be detected with metal detectors or X-rays is also already illegal. As the Free Beacon notes, Adolf Hitler’s “Mein Kampf” and Karl Marx’s “Communist Manifesto” are both available for purchase on Amazon.